As my friends and family know, I detest pink, fluffy things. Yet somehow I love Valentine’s Day. After all, what’s not to like about a holiday dedicated to chocolate? 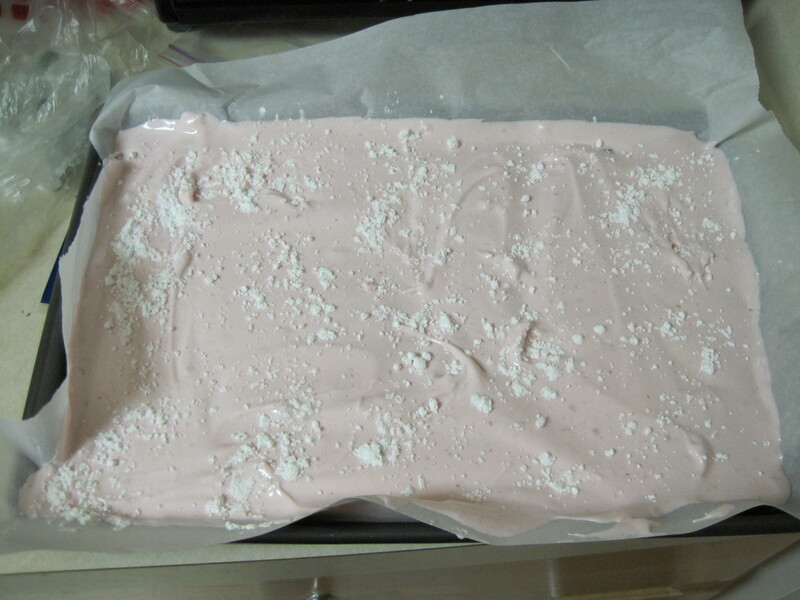 So in the spirit of the holiday, I am going to do something rare: make something pink and fluffy. And chocolate-coated of course. Marshmallows originated in Egypt around 2000 B.C.E. Ancient Egyptians mixed the root of the marsh mallow, or althea officinalis, with honey to produce a candy. The Greeks and other early civilizations along the Mediterranean used the sticky root as a medicine for sore throats and coughs. Marshmallows as we know them today first appeared in the mid-19th century in France. 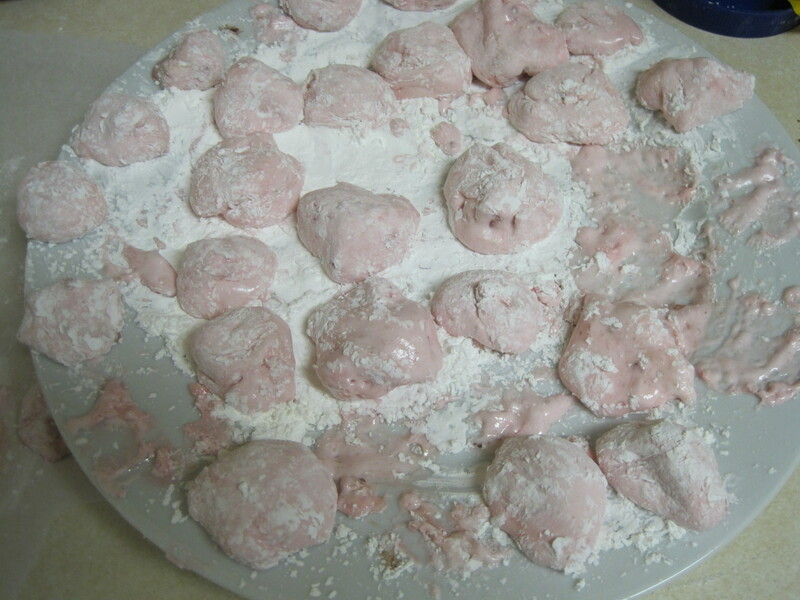 Sap from the marsh mallow root was combined with egg whites, sugar, and water to create the candy. Over time, the sap was replaced with gelatin as the primary binding agent. By the early 1900s, new technology had enabled factories to produce mass quantities of marshmallows using cornstarch molds. For anyone who has ever visited the Jelly Belly factory (I must confess that my family has pretty much taken up residence there, right behind our permanent home at Disney World), the same process is still used for jelly beans, gummy worms, and candy corn. Every wonder why marshmallows are round? You can thank inventor Alex Doumak, who in 1948 developed a way to mass produce the candy by piping the mixture through tubes and then cutting into pieces. Perhaps the most popular marshmallow products today are peeps, first produced in 1953. Oh, and Hand wanted to be sure I mentioned marshmallow fluff since she went to school right near its birth site in Somerville, Massachusetts. Archibald Query sold marshmallow fluff door-to-door starting in the early 1900s. Unfortunately, sugar shortages during World War I ruined any possibilities for success. He sold his recipe to two men, who went on to create the Marshmallow Fluff we know today. Richardson, Tim. Sweets: A History of Candy. Bloomsbury: New York, 2002. Marshmallows, like most candies, turn out best when a candy thermometer is used to make the syrup. I will tell all of you a secret…I decided to live on the edge this time around and forgo the thermometer. The marshmallows still turned out ok (as I help myself to another), but definitely took longer to make. So either be up for an adventure or get a thermometer! The best marshmallow recipe I’ve seen was from David Lebowitz, although I had to adjust to make vegetarian and add flavor. Dissolve agar agar flakes in 1/3 cup water. Beat egg whites until soft peaks form, about 5 minutes in a stand mixer. Bring water, sugar, and salt to a boil and add agar mixture. Simmer for about 7 minutes, making sure it reached 250 degrees (or until the syrup produces a soft ball when drops added to a glass of cold water). Add raspberry extract and food coloring. Slowly beat syrup into the egg whites and add raspberries. Beat until mixture cools to room temperature. Rolled into balls. They are really sticky. or 2) Spoon mixture onto greased , cornstarch-lined cookie sheet (like drop cookies) and cool for same duration. In both cases, roll the marshmallows in a half cornstarch, half powdered sugar mixture to prevent sticking. 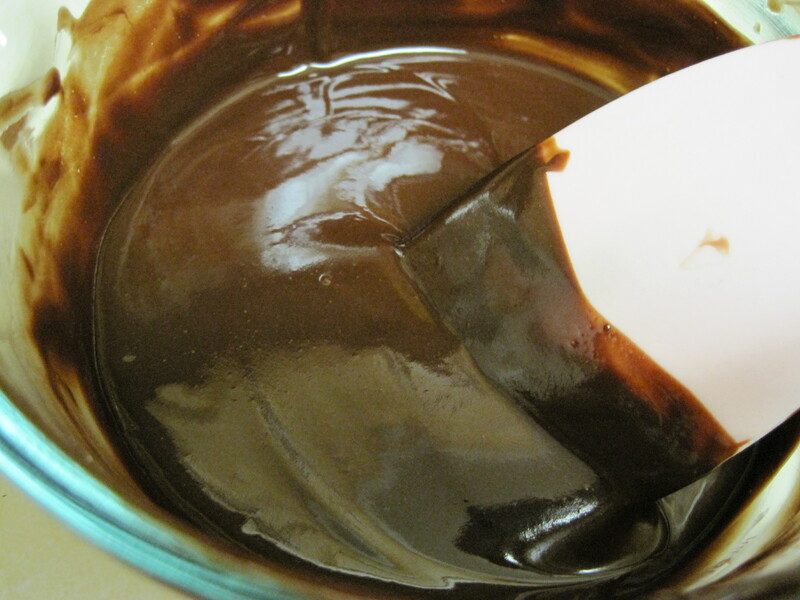 Melt chocolate into cream over low heat in a saucepan. Using a toothpick or fork, dip the marshmallow into the chocolate. Place onto a cookie sheet lined with parchment paper. 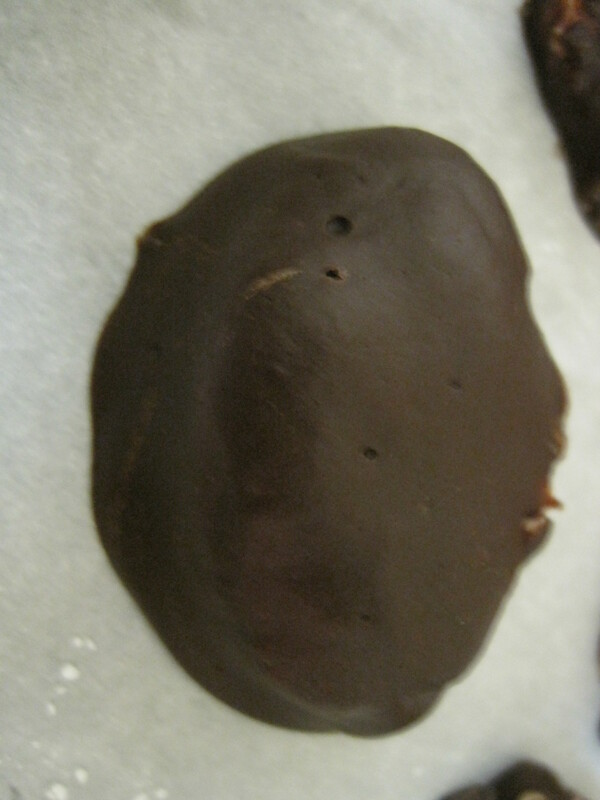 Once tray is filled, place in fridge until chocolate hardens. Enjoy! 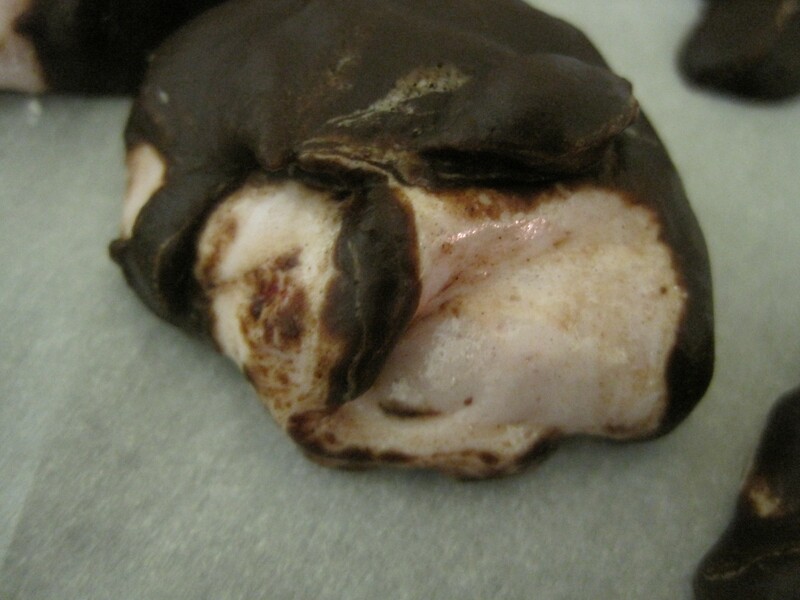 This entry was posted in Uncategorized and tagged Dark chocolate, food history, History, holiday, marshmallow, raspberry. Bookmark the permalink.